MuseCast Modays are back in a new season with Jill and Farrar! We are so excited to be podcasting again and can’t wait to bring you new episodes every other week on topics ranging from college admissions to homeschooling with our new curriculum, GPS. 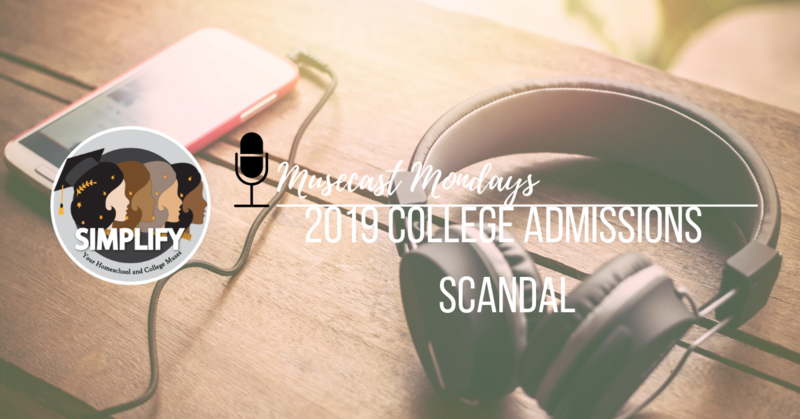 In this episode, Jill and Farrar talk about the college admissions scandal that has been in the news of late. Also discussed is whether homeschoolers have the advantage in college admissions, parent involvment, and how competitive getting into college has become today.